Founders Month and Freedom Week Continues! American Founders’ Month continues in Florida. Today, we look at an actual Founder of Florida, William Dunn Moseley. 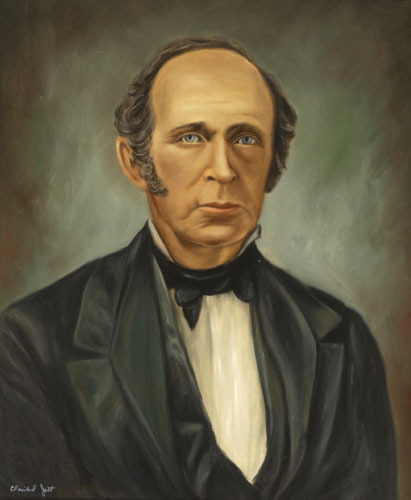 Governor Moseley was the first elected of governor of the new state of Florida, from 1845-1849. Before Moseley, Florida had the legendary Andrew Jackson as military governor and a series of territorial governors. So how was Moseley as a governor? Like the vast majority of other Florida governors, Moseley was a Democrat (though we should recall that the meaning of 'Democrat' and 'Republican' has changed over time). Also like many of his peers, he was a supporter of states' rights and slavery, owning a plantation near what is now Lake Miccosukee in Jefferson County. It is under Moseley, however that the first real efforts were made to establish a peaceful relationship with the Seminole Indians and the establishment of an agricultural industry focused around citrus. 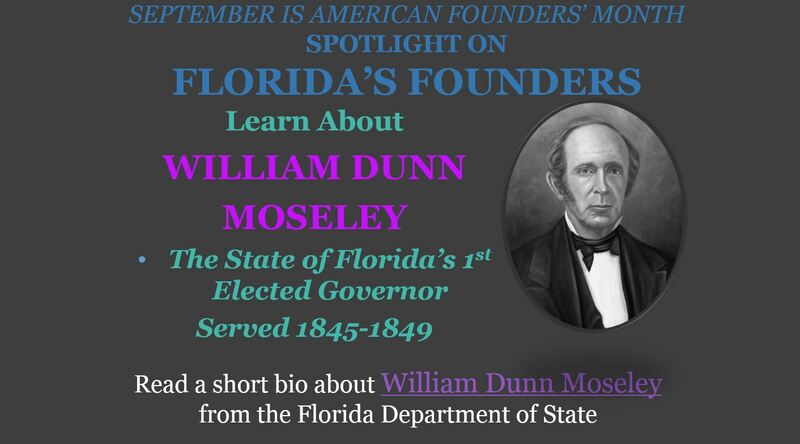 You can learn more about Governor Moseley from the Florida Department of State!